And the tractor trailer from PONY Club arrives… – Success Won't Wait! Once again, PONY Club has come to our aid and donated tens of thousands of brand new books to Success Won’t Wait. Partnering with charitably-minded publishers like PONY Club, Wil Books and more allows us to continue our work, providing children throughout the region with quality literature. And of course, giving them the opportunity to develop a real love of reading! A PONY tractor trailer arrived just the other day, loaded to bursting with fantastic PONY titles. We are already busy distributing them throughout our programs including supplying the Delaware Division of Libraries Summer Reading program with book rewards throughout the state. Many thanks to PONY for their continued support of our mission! 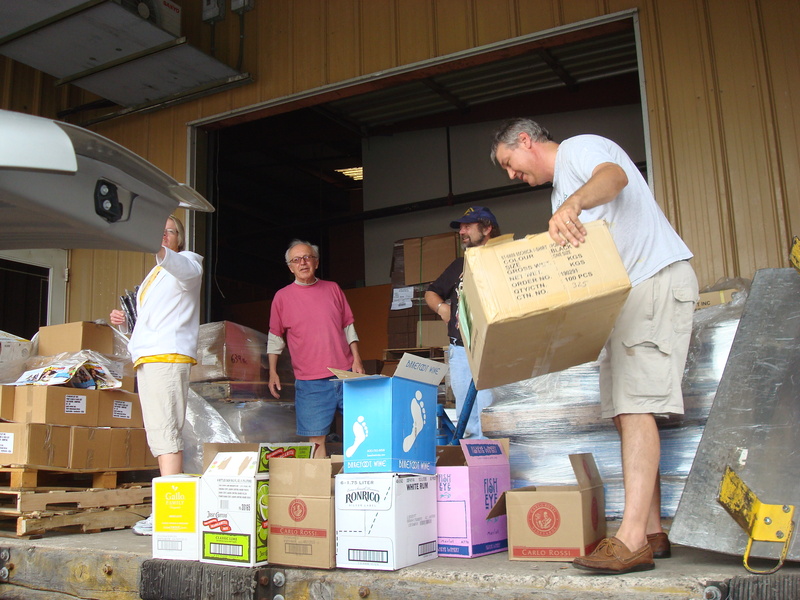 Pictured: Don McNeill (foreground) and members of the staff at Cann Printing in Wilmington unload dozens of pallets of books into easily transportable boxes. Cann Printing kindly offered use of their loading dock, manpower and warehouse space. Boxes were provided by Dunkirk Liquors. Thanks to both firms — we can’t do it without you! Next …we’re ready for our close up!